It's UNSC. But what is it? Wait, slightly do you have the magazine or did you find the picture online? Forerunner tech. Dear lord I can't wait to get my hands on that. Off the Interwebs, Six. It really does look like the front of a UNSC frigate. I assume it's a Forerunner-derived human weapon. Well, if you all recall, I posted a rumor thread in which it was rumored that the Chief would face the creator of the Halo installations. Thats why I was wondering if he had it to see if it said anything about that. It looks like the rifle equivalent of the Infinity. Looks like the 'Shield stripper' weapon mentioned in the Sparkcast. Maybe a plasma beam with a high rate of fire. So you think it's the Assault Carbine, then? I dunno. It just looks so beefy, I guess I'd be kind of let down. Seems likely, but you never know. And try to be positive about something man! 343 just want to make you happy! This is why we can't have nice things! Haha. I just mean that the weapon to me doesn't *look* like a shield stripper. Since they're going to be introducing new weapons I feel like they need to make sure that you have a general sense of the weapon. If it looks imposing and powerful--it should be. If it looks imposing and powerful--it should be. Yeah you're right. It does look blocky, but perhaps that is a reflection of the progression on Forerunner tech integration in the UNSC. Maybe humanity hasn't quite gotten it small enough yet. Maybe, AH MAYBE It's a prototype, I'm sure the Infinity has a bunch of new gadgets on board! 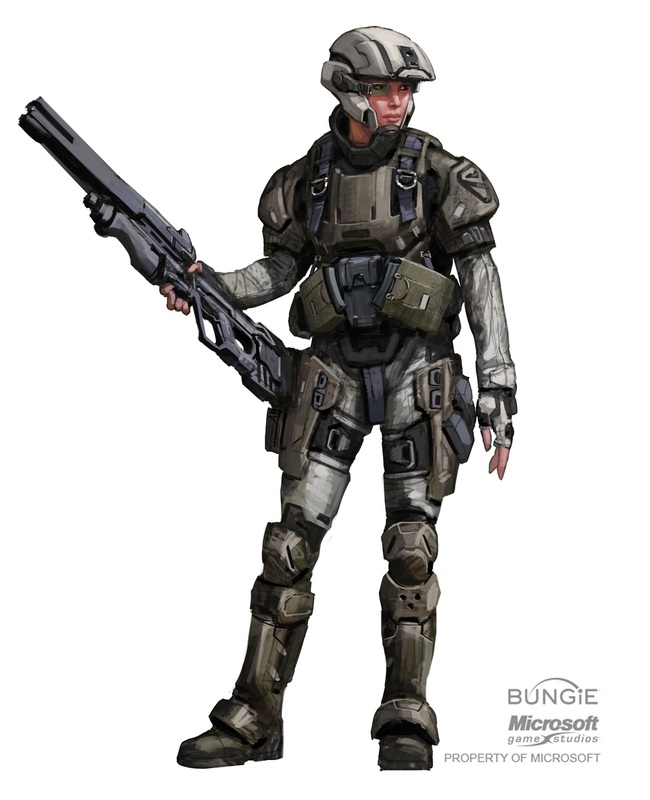 It actually reminds me of a human version of the Covenant Sniper Rifle from 2000. Can you get a pic of that dave? Or are you talking about the H2 cvy sniper?